It can be difficult to define the job of a copywriter, simply because the tasks required of individuals who perform this type of work can vary significantly from one employer to another. To define the job of a copywriter, it's important to take into consideration the environment in which an individual is employed. Some copywriters work in fields that require them to have a solid understanding of marketing techniques, while others hold jobs in which they must use a writing style that is purely factual and journalistic in nature. Copywriters who work in advertising and public relations agencies are responsible for writing marketing-oriented text on behalf of their clients. These types of copywriting positions require a marketing-oriented writing style. Individuals who work in this capacity must to coordinate their efforts with account representatives, graphic artists, and production professionals. They must also be flexible enough to perform writing services for many different types of clients, often in widely varying industries. Some large companies hire their own in-house marketing professionals rather than outsourcing this important function to an advertising agency or PR firm. Copywriters who work in a corporate environment perform the same types of tasks as those who work in advertising and PR firms. However, instead of working as part of an account team providing marketing support to several different clients, those who work in a corporate environment are able to focus completely on writing for their employer. Individuals who work as copywriters for the print and broadcast media must know and be able to use the principles of journalistic writing. Rather than focusing on marketing the features and benefits of a particular product or service, they are responsible for presenting information in a clear, concise, and factual manner. However, not all media writing is journalistic in nature. Some media outlets prefer to hire copywriters who also have the ability to write marketing-oriented materials. This is because their copywriters are expected to write promotional materials for the station or publication, as well as provide writing support for the organization's advertising department. 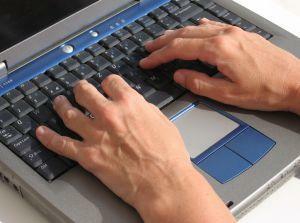 Freelance copywriters can perform any type of writing functions, as requested by their clients. Some freelancers specialize in one particular type of writing, while others prefer to accept a variety of different types of projects. No matter what specific job description an employer or client uses to define the job of a copywriter, there are certain skills necessary for every copywriting job. If you want to work as a staff or freelance copywriter, you need to collect samples of your work that you can use to highlight your talent to potential employers and clients in a print or online portfolio. If you're a novice writer who doesn't have copywriting experience, you'll need to work on building your portfolio. In this situation, it's a good idea to seek out an internship or volunteer to provide copywriting services for a nonprofit organization. This will allow you to develop clippings that can be used to market your services to paying clients or employers.